Is it time to allow foreign lenders into the UAE mortgage market? Foreign mortgage lenders are not currently allowed to do business in the UAE. Well not if they are not fully established as a lender or a bank with the central bank. But what if they were allowed to lend if they registered as a representative office or branch and the UAE Central Bank accepted their home country regulation, policies, paperwork, and standardisations? There have been so many innovative moves to boost the local housing market recently that this question surely deserves serious consideration. We are down 30-40 per cent in some sectors since mid-2015, and we may drop another 5-10 per cent in some sectors before we hit bottom over the coming two quarters. If the UAE mortgage market were to be opened up to foreign lenders it would certainly have an impact, offering more options for investors and thus bringing more investors into the market. A declining market is when investors normally see increased demand for equity release and liquidity. In Dubai, you cannot attach a loan on the title deed as a bank if you are not a Central Bank-regulated entity, meaning foreign lenders cannot achieve their security and cannot enforce on it in the event of default. This means that foreign lenders either cannot lend or do not lend under normal circumstances. The UAE is ripe for property investment, with thriving industries and large expat communities. But high deposit rates and restrictions on lending are holding it back. Opening the door to foreign lending could be the catalyst to a major boost for the UAE property market and for the Emirates as a whole. If so what would happen? With lenders requiring deposits of 30 per cent to 50 per cent for investment properties and equity release, it’s no surprise that the buy-to-let market hasn’t been as buoyant in recent years as we would have liked. In a country with a high demand for rental properties, and solid returns of 6-8 per cent on buy-to-let mortgages, this represents a big opportunity that is being missed. Lenders from countries with more mature buy-to-let property markets will be quick to capitalise on this opportunity, introducing products and processes that make property investment viable for a larger proportion of the UAE population. Moreover, they will attract new investors from outside the UAE, who will be aware of the potential of the market, and that will bring more capital into the country and keep the market competitive. And this will fit with the 10X programme too. You are likely to find that the approval process is quicker so the factors that may have been holding you back will no longer stand in your way. But I am dreaming at this stage. 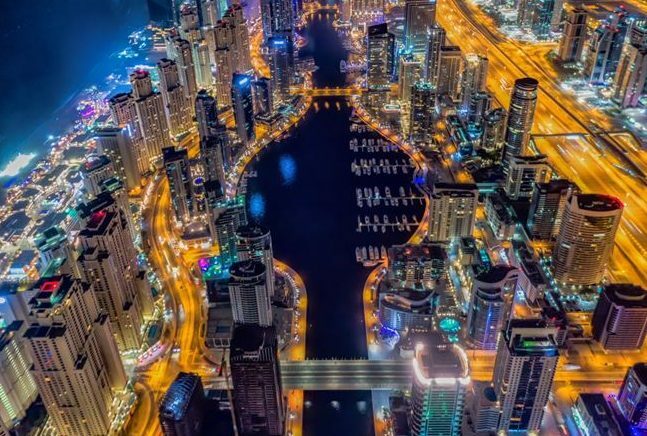 It would release a lot of equity back into the economy and drive up demand for studios and one-bedrooms in prime areas, like Dubai Marina, JLT, Discovery Gardens, Downtown, and JVC. Opening up any sort of market makes it more competitive and forces lenders to review their charges. UAE interest rates for loans that the end user pays are normally around 4-8 per cent depending on what bank you deal with and the terms and risk associated with it. Expanding the market to include international mortgage lenders on buy-to-let and equity release would heighten the competition in the region, which will not bring down fees for the cheaper loans, but would impact other costs. And the mid-rate loans of 5-8 per cent will become quicker, and most cost effective with more competition, and items like exit and early repayment penalties will become a thing of the past. What could competitive interest rates do for you? The presence of foreign lenders in the market will have a stabilising effect on interest rates, making your investment more reliable and attractive. Lower interest rates will encourage more foreign investment, which will boost the economy and in turn drive the property market, giving you an even better return on your investment. Investing in property involves big financial decisions and, therefore, trust in your lender is essential. The introduction of foreign lenders in the UAE will be welcomed by expats wanting to invest in the local property market, for whom the assurance of being able to borrow from a bank they already use could be the spark they’ve wanted, plus many of these banks will look at tie-ups with local banks bringing and spreading the business. Research by UK price comparison website uSwitch.com has shown that 25 per cent of adults under 35 still use the bank they’ve been using since childhood, and 27 per cent of them say they haven’t switched because they think it will be a hassle. Meanwhile, a report in the USA suggests that loyalty to banks is at an all-time high, with around 80 per cent of customers confirming that they trust their bank to act ethically, to do the right thing, and to act in the customers’ best interests. A more flexible approach to foreign lenders and foreign lenders tying up in a way that does not increase the cost of the loans with local banks will be beneficial for all. Expecting British, American and other expats to buck this trend and invest in property in a foreign country with a lender they have never used before is asking a lot. Giving them the option to borrow from their regular lender, however, could make all the difference, instilling confidence in place of the fear of the unknown. The same principle will also stimulate further foreign investment into the UAE property market and again fit with the UAE’s 10X programme. Why is working with a familiar bank so attractive? The option to take out a mortgage with ‘the bank you bank with back home’ will make the whole process seem a lot more straightforward and should give you the assurance you need. After all, investing in property is a major transaction, which nobody enters into lightly. Familiarity and trust will help you to find the confidence required to invest in what is a very attractive proposition. More investors will mean more capital for more property development, which will mean more opportunities for more investors. Especially with the market starting to bottom out in some areas, the released equity will definitely be welcome in the country. All the UAE needs to kick-start this virtuous circle is a catalyst. We’ve seen some groundbreaking moves by the government to boost the property market after a difficult slump in recent years, from the introduction of an extended 10-year residency visa to the Dubai Land Department’s new ‘Real Estate Self Transaction’ (REST) online system. The sector is evolving in exciting ways and the future is looking brighter than ever for investment. But we need more. Allowing foreign lenders into the UAE mortgage market could be that catalyst. It would certainly be a bold move but there are plenty of case studies elsewhere in the world to show that opening up your mortgage market to foreign lenders can work very well indeed. What’s more, including the new peer-to-peer lenders in this bracket would be even bolder. Companies like Lending Tree and Landbay, for example, would bring a lot of liquid into the UAE property market if this were to happen. I believe it would benefit both the UAE property market and the UAE as a whole. And for anyone looking to invest, it’s certainly a development to keep an eye on. Will The Upcoming UAE Mortgage Law Slow Revival Of Dubai’s Property Market?